and the guise of justice and equality in the U.S. 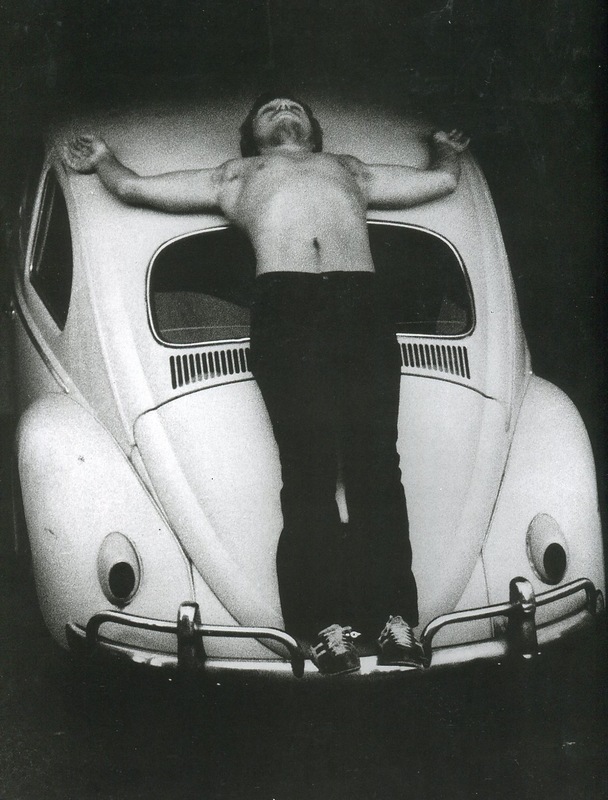 Burden considered the Volkswagen to be the “the car of the people” and likened his Christ-like crucifixion to self-liberation through demystifying the terror and violence of such an act while displaying the human body as truly free from being governed by laws. Three years before this performance, Burden stood before a loaded rifle and was shot in the arm for another one of his extreme performance pieces appropriately called Shoot.